Humankind has been using tools for millennia. We have come a long way from sticks and stones to powerful heavy duty tools. Our website offers a detailed insight into the usefulness and capabilities of some of the crucial tools for your household. If you’re looking for honest and well-written reviews, you’re in the right place. Apart from detailed analysis, we offer comprehensive guides for people who aren’t sure how to handle a particular tool-related issue. We have chosen the best models from the best brands on the market at the moment. Go ahead and read our material, you’ll certainly find something of interest to you. With years of experience in professional painting service, we are competent to say that we know all the tricks. One of the first things you will need is a reliable paint sprayer. A multimeter is a device designed for testing and measuring electric current and resistance. If you’re an electrician or you only want to check out the state and values of the electricity delivered to your home, there is a high possibility that you’ll need a quality multimeter. If you need an automotive multimeter instead of the one for home use, you’re in luck. Despite the popular opinion that these tools require a lot of financial resources, they won’t damage your budget at all. You can avoid going to a mechanic and spending money for diagnosis and repairs if you opt for an automotive multimeter…. How many times did you get ready for work just to find out that your car battery is dead? Apart from being incredibly annoying, not being able to start your car can also have quite devastating consequences, especially during winter. If you want to avoid such a scenario, take a look at these portable jump starter reviews, you might find something of interest. When talking about good jump starters, you cannot skip mentioning the NOCO Genius products. The Company was established in 1914 in Cleveland, Ohio. They are best known for manufacturing the world’s first Battery Corrosion Preventative which was later called NCP2. Every product that they produce is designed and engineered…. Being unable to start your car due to a dead battery can be very frustrating, overwhelming, and expensive. To avoid the huge hassle of calling a tow service, you can learn how to successfully jumpstart your car on your own using a pair of jumper cables. Follow our simple instructions. A portable jump starter allows you to get your battery up and running without having to rely on a friendly stranger for help. Tool Nerds team put together a small guide to help you learn how to use a portable jump starter and handle an emergency situation while on the go. Car Battery Charger vs Jump Starter: What’s the Difference? A staple gun is almost a must-have tool both for DIY enthusiasts and professionals. Whether you want to fixate a picture to a frame or tackle some carpentry projects, a quality staple gun should be a part of your equipment. Take a moment and check these reviews out, you might find a suitable tool for yourself and your projects. Precision is something that can make or break a particular model. It doesn’t matter how innovative, modern, or expensive a table saw is, if it isn’t accurate – it’s not worth the hassle. DIY projects don’t depend just on your sheer experience, the tools you’re using have to fulfill certain requirements and parameters. 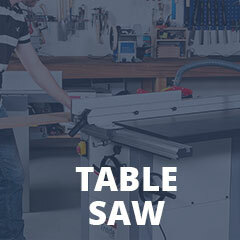 Table saws are a great tool both for professionals and DIY enthusiasts. Take a look at the products we have reviewed, and you might find the best table saw for your next project…. A miter saw is a great tool for people who process wood on a daily basis. To find a suitable one for yourself, you must first know what to look for…. In the growing world of power tools, circular saws are pretty high on the list of must-have things both for DIY-ers and professionals. Whether you’re looking to build furniture, cut some roofing beams, or make frames, you won’t be able to do it properly without a quality circular saw. …. Even though it seems simple enough, finding a quality chainsaw can be a challenging task, especially in today’s market which is flooded with units of suspicious quality. One of the first things you need to keep in mind is not to buy the first one you stumble upon…. Circular saws are popular handheld power tools that are a must-have addition to any carpenter’s or builder’s collection. We want to show you how exactly a circular saw works. Since this is a very powerful automatic tool, it is best to take precautions at all times. Read on and learn more. Everyone should own at least one type of drill and leave it hanging in their garage. Needless to say, it’s always better to have a mechanical device instead of doing things manually. Finding the right unit for yourself isn’t an easy task, but with our reviews and buyers guide it will make desicion making much easier. Instead of having to think about extension cords, tangling, and electricity availability in general, all you have to do is charge the battery and that’s it…. If you’re looking for a heavy-duty tool that’s capable of coping with demanding projects, a drill press might be the thing for you. These machines are designed to tackle any project….